Rich and tangy, this limey salad makes your taste buds come alive. 1. In a small bowl, whisk together oil, lime zest and juice, garlic and salt until combined. 2. 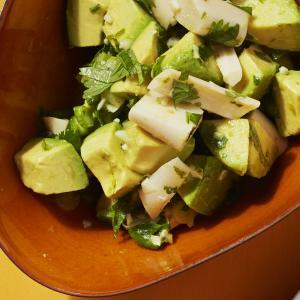 In a medium bowl, combine avocado, hearts of palm, cilantro and scallions. Pour dressing over avocado mixture and gently fold together. Season with additional salt, if desired.